I’ll be posting more info as the date approaches. 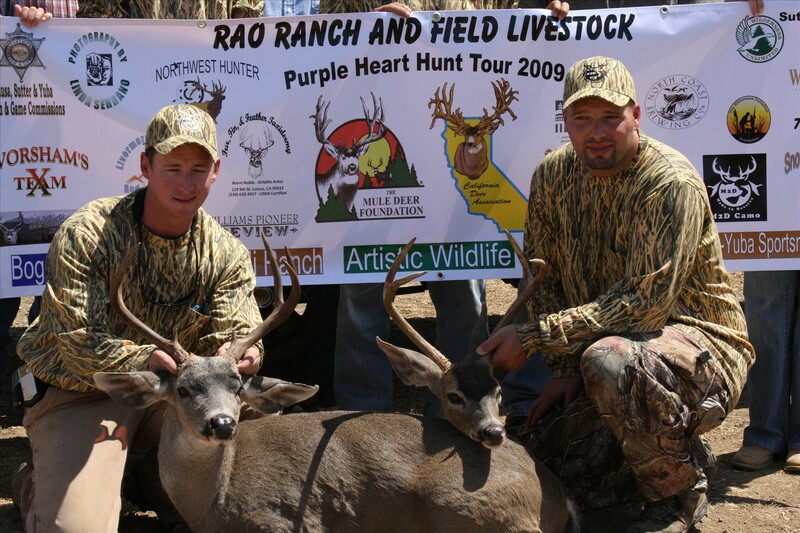 We support the Purple Heart Outdoor Tour Blacktail deer hunt. I think it might be more appropriate to call it the sooty blue grouse. Then everybody would know what it is. When I looked this up, thinking I didn’t know what a sooty grouse was, I found out that the name just changed. Blue grouse have split into two species – the sooty grouse and the dusky grouse. A painting of a sooty grouse has been chosen by a panel of judges as the winning entry in the 2013 Upland Game Bird Stamp Art Contest. The painting by Broderick Crawford of Clayton, Ga., will become the official design for the 2013-2014 stamp. Specs and snows in the Delta. For years I’ve tried to hunt specs (white-front geese) over decoys – often having little or no success. However I’ve done better the last couple years. Probably that has something to do with the fact that there are plenty of specs in the Delta where we hunt. However it also has to do with some of the tactics I’ve been using, so I’ll share them. Unlike snows, which can be decoyed in by large numbers of white decoys, my past experiences have demonstrated that specs are very difficult to decoy with large spreads. However, I’ve learned that a small decoy spread of realistic decoys works. Five decoys, whether on dry ground or on water, is about right. On water I use a jerk string on one of the decoys. I call sparingly, and have my best success by calling back to single birds in the air that are already calling. You’ll bring home more birds if you hunt with a good retriever. Specs are good at hiding. Spec hunting is best on days when there are few hunters out and the birds become relaxed. I do not believe that having other hunters shooting is beneficial or that getting the birds moving is helpful. It is best to be patient and wait for the birds to decide to go looking for food or whatever else motivates them. A good hide is a must. Laying out on the ground when hunting over decoys does not work well. Specs are too good at avoiding anything that looks like a hunter. A good blind submerged or buried and hidden by cover is best. In natural ponds, hide well back in tules or cattail. An appropriately colored guillie suit and face mask is beneficial. My advise is to avoid shooting at passing birds and wait for those that are close. Use a dog if possible as specs are good escape artists and you will inevitably have to go a long ways after one during a successful hunt. Even when specs are slowing down over decoys, they require a good lead and sometimes they will come in close at high speed. If that’s the case you’ll need to get the barrel ahead of them even though they are close. Decoys work well in calm clear weather so you don’t need to wait for wind and rain. Just go. Most of my best hunts have taken place during the afternoon hours, but occasionally morning is productive and you may have one come in at any time. 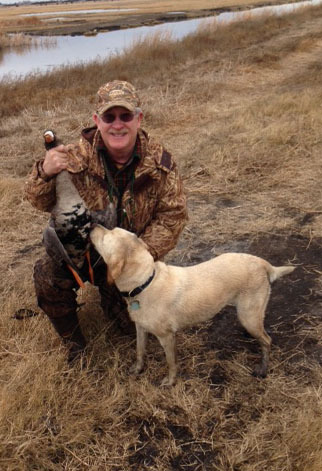 With large numbers of geese in the Pacific flyway, it’s worthwhile devoting some time to goose hunting. When hunting over water, it is quite possible to come home with a mixed bag of ducks and geese, but leave your spinner decoys in the truck as you won’t kill many white-fronts over a spinning decoy. Fred showing off a 2014 limit. On a good day, limits are possible. White-front geese are great table fare so plan on spending some time plucking. In order to assure that we retain wildlife habitat values while watching over species that have special regulatory status or modify land management practices under carbon management programs, wildlife managers need to do more than measure volumes of habitat. They must also monitor habitat succession, or some of our most valuable habitat will diminish with no loss of acreage. This can happen before land managers can figure out what happened. Conservation would not exist if it were not for some form of conflict or shortage. Nobody would ever think to conserve, if everything remained plentiful forever. Built into the natural world are conflicts between wildlife. The classic example is predator and prey. It is also common for species to compete for habitat. Competition between predators for limited prey is an example. Competition between species for limited food is normal. Evolution created limits to competition so similar species could fit into niches of its own. 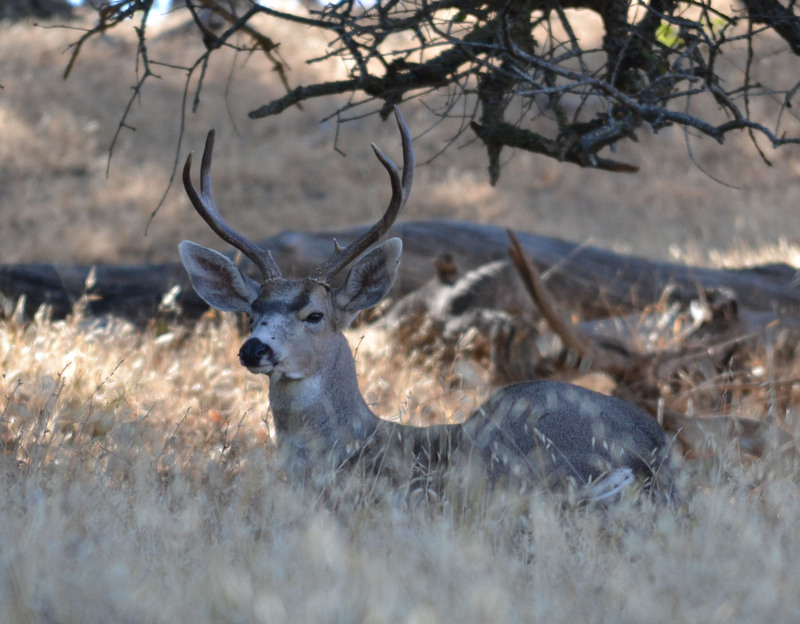 Members of the deer family compete to a certain extent, but they also differ in ways so that they can coexist in the same habitat. For example, mule deer and elk are both deer, but mule deer are primarily browsers while elk are grazers. When man entered the program he modified habitat for his own benefit. Eventually man also became aware that conservation was necessary in order to have abundant wildlife. Hunters were at the forefront of many early conservation efforts and game animals as well as many non-game species, benefited. Government set aside land for wildlife using hunter’s dollars. As a result, game populations rose and hunters and non-hunters reaped the rewards. Most North American Big Game flourished. 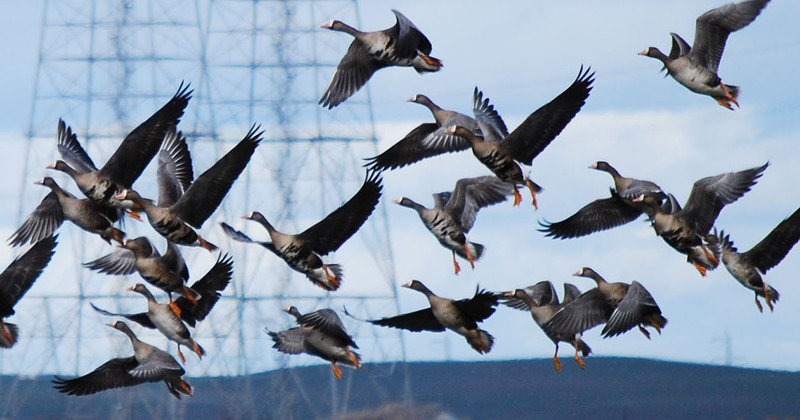 Waterfowl numbers increased and systems for measuring numbers of migratory birds were developed. 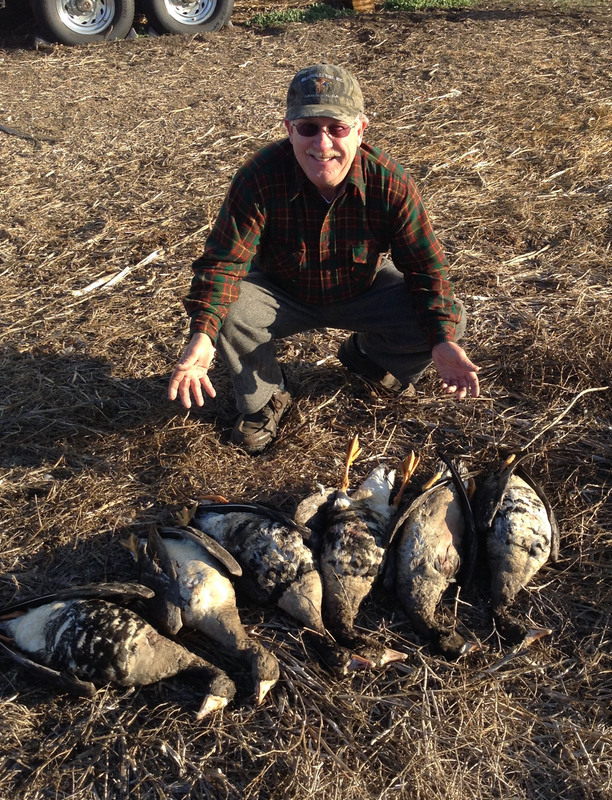 Waterfowl populations have flourished under close monitoring by hunter-funded programs. Today, conservation is taking a step further. As man steps in to deal with current conservation issues, a another type of conflict is rising. This conflict is only a serious problem if it goes too far, but in order to determine just how far it should go, the problem must first be acknowledged. The problem is conversion of habitat from early succession to late succession and it has always affected land that has been mismanaged or unattended. Land that has the potential to be excellent wildlife habitat can become nearly worthless if left unattended. With no manipulation of the land to recycle it from mature plants to early-growth plants, habitat can become useless as a wildlife food source. 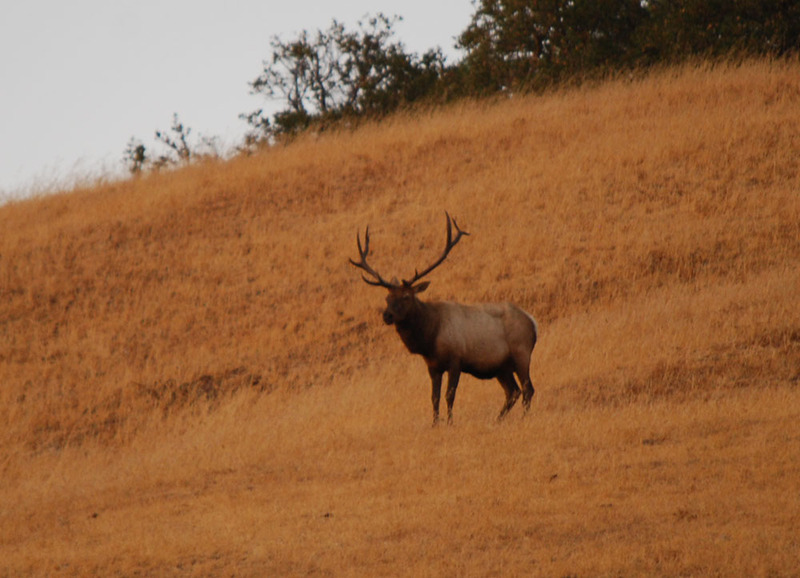 Through hunter’s efforts, tule elk are more numerous today that they were a century ago. Development of government programs guided by the Endangered Species Act (ESA) has created a powerful tool for the benefit of non-game species. Now we have Cap and Trade, which seeks to mitigate for carbon emissions. It also is a powerful conservation tool. Incorporated in these programs is the potential for unnecessary habitat conflict. As government-held land turns its management goals towards managing for single species and old growth habitat, some of the success created by established habitat management may be lost. 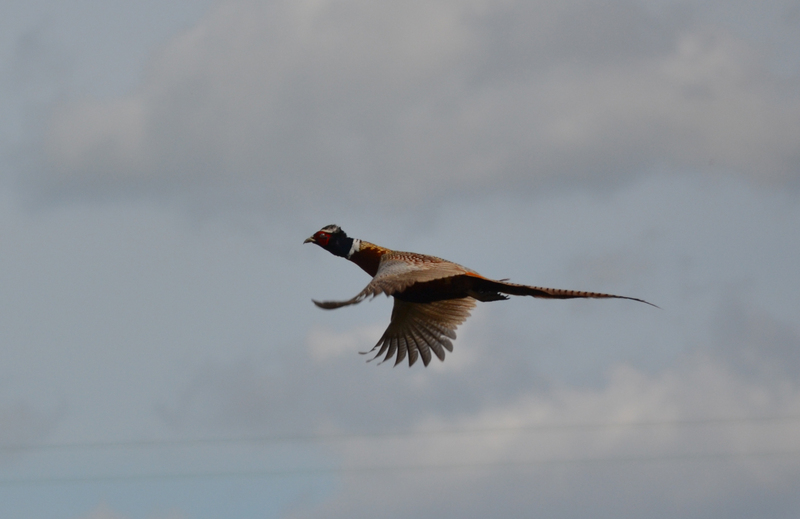 Pheasants and ducks benefit from early succession habitats. With limited lands managed for wildlife, government mandates can force land management away from early succession to late succession habitat. As that happens, hunter-funded habitat management from which game animals have benefited can be converted to management for habitat which benefits primarily special status species. Cap and Trade programs can lead to an emphasis on late succession habitat that is intended to offset carbon emissions. This process has begun, but it is not yet widely recognized. Each time a new species is declared threatened or endangered, a new set of management mandates is incorporated into wildlife management programs. These new mandates trump traditional management and can gradually swing habitat management away from early succession growth to old growth habitat. Old growth habitat benefits fewer species and generally not game species. A management change from early succession to old growth does not create immediate change. Habitat creep continues until suddenly there becomes an awareness that something is wrong. Therefore competition between habitat types may not be identified until a significant portion of habitat has been converted away from prime wildlife habitat. Within a few years, some targeted species may gain, while many will lose. If not appropriately monitored, habitat creep will be difficult to identify as a cause of decline in habitat value. The first step is make sure that land is not converted from habitat managed for early succession to habitat managed for late succession. Instead, habitat for late succession dwellers should be created from land that is not already set aside as wildlife habitat. 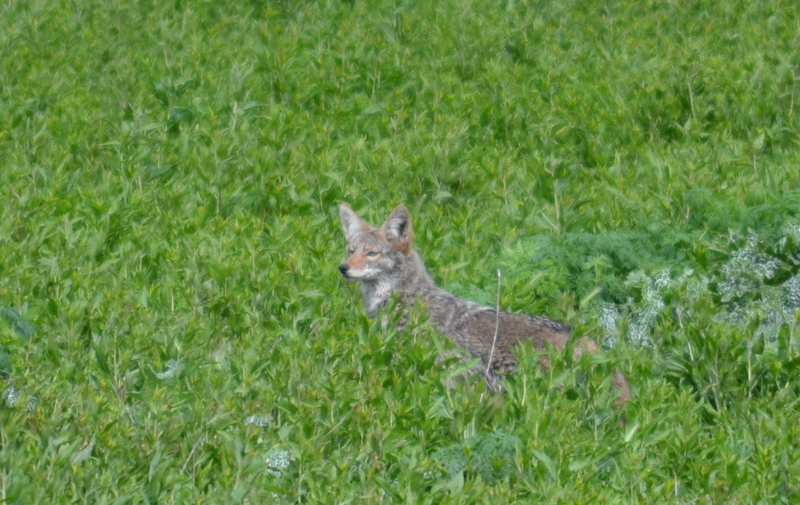 That way the creation of late succession habitat will be in addition to early succession habitat and there will be no net loss of valuable habitat for game and non-game animals that thrive in early succession habitat. 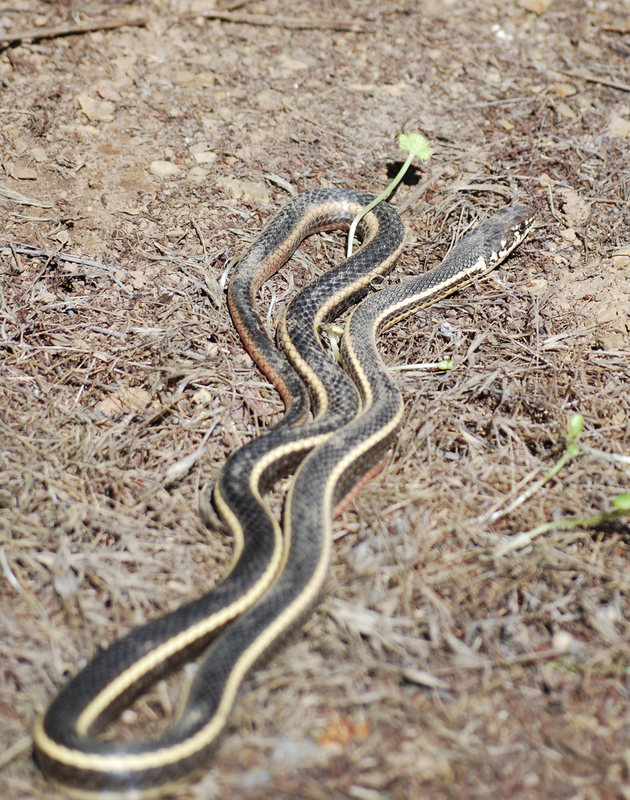 The Alameda whipsnake is a species that thrives in old growth chaparral on our ranch. Although it spends most of its time in the brush, it hunts for lizards along the grassland edge and rock outcroppings within stands of mature bushes. Photographed this wolf track in the Bob Marshall Wilderness, November 2013. Elk meat is a fine tasting and healthy food. I prefer to season it and grill it on my Weber barbecue. It is best when removed while the meat is as rare as possible. Over cooking drys out the meat and reduces its quality. Weber makes a very good peppercorn marinade that I enjoy, but plain salt, pepper, oil and vinegar is sufficient. Although I don’t always have a chance to partake, this winter I’ve had the opportunity to enjoy elk steaks and burger from a young bull I killed in Montana’s Bob Marshall Wilderness. What I couldn’t transport on the airplane, I gave to a good friend, who resides near Riggins Idaho, where elk numbers have sadly diminished. 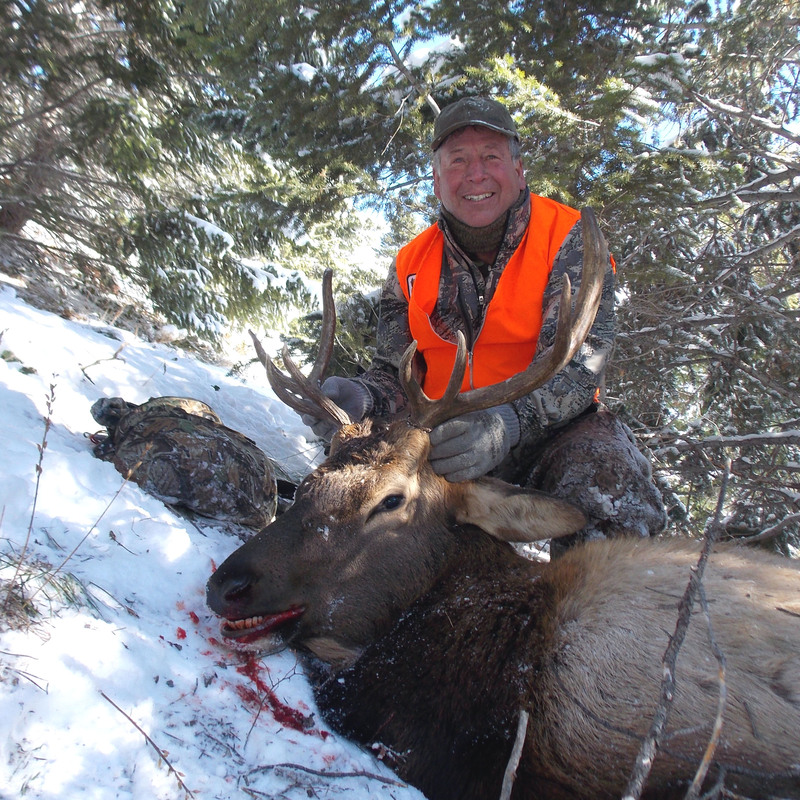 Some traditional hunting areas near his home, where he hunted successfully for years, are nearly void of elk. Wolves are the reason. Wolves cannot manage themselves. Left unchecked they will prevent hunters from enjoying the bounty of the hunt. 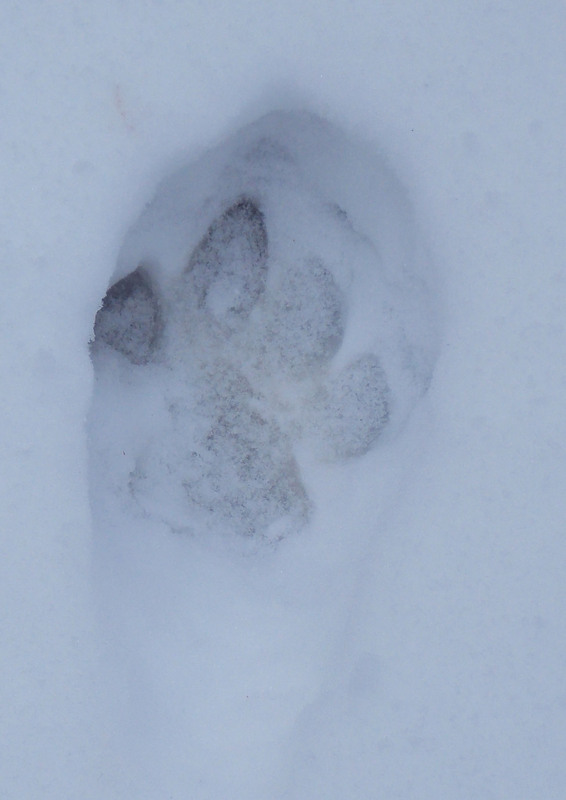 While hunting the “Bob” I heard a wolf howl in the middle of the night and found their tracks on a day when we saw no elk. I’m glad there are wolves in the wilderness, but they must be kept at a population level where they can coexist with and share elk with human hunters. There is only one way to accomplish that management objective. I imagine it is very difficult to find a wolf and get a good shot. I look forward to a day when I may have the opportunity to hunt for wolves and learn more about their behavior. I know that it is unlikely that I will ever kill a wolf, but simply coming close would be a thrill I’d always remember. One more item on my bucket list. Thanks for doing the hard work of managing our forests and wildlife. When you own a dog, you always have a hunting partner. A good dog is as excited about hunting, or more so, than you are. Today Lola once again proved that a dog is invaluable when it comes to retrieving your game. About mid-morning on a recent hunt, a pair of specs lifted off from a field to the northeast of us and climbed into the air over Fred. They were up there, but Fred decided to take the shot. As the birds turned back to the north, one of them slowed and descended, but did not drop out of the air for about three to four hundred yards. From my vantage point, I could tell that the bird had died before it hit the ground. It came down at the opposite side of the pond, and disappeared behind a wall of cattail. I had a good line to the bird, but didn’t know how far behind the cattail wall it had reached the ground. I decided to go after it with Lola. It was slow going while crossing the pond as the bottom was slippery and the water deep enough to be disconcerting. When I reached the wall of cattail, Lola turned left and disappeared for a moment. I called to her and led her out of the pond onto the berm. From the berm, I sent her across a canal on the north side of the property and she searched unsuccessfully for the goose. She returned and searched the tall grass along the road on both sides. I concluded that the goose must have fallen into the thick cattail and it came down so hard that it must have buried into the thick mass of bush. As much as I hated to give up, the effort seemed for not and I was impatient to get back to hunting. But, I didn’t completely write the bird off. I figured Fred and I could come back after we finished hunting and maybe we would find it then. About two hours later we returned. With field glasses we scoured the field to the north. If the bird were there, we would have seen it – plus Lola had already checked it out. We searched along both sides of the berm again with no results. Once again I concluded that the bird must have come down in the thick cattail. I told Fred that I was going back into the cattail to see if there was any chance of recovering the bird from the thick cover. As I walked through the path we’d made through the cattail, I remembered that Lola had briefly disappeared previously (maybe because she had smelled the goose) and decided we should go down wind of that area to see if Lola might go to the bird. Near the spot where she had disappeared previously, I led her into the wind and we made our way along a narrow path through the cattail. It was easier going that I had anticipated. Then Lola’s pace picked up. Maybe she smelled the bird. I made it through the tunnel of cattail and popped out onto a very small opening in the cattail where the surface of the water was exposed. There before me stood Lola next to the downed goose. It is amazing how many birds you can recover with a good dog. Fred was impressed. 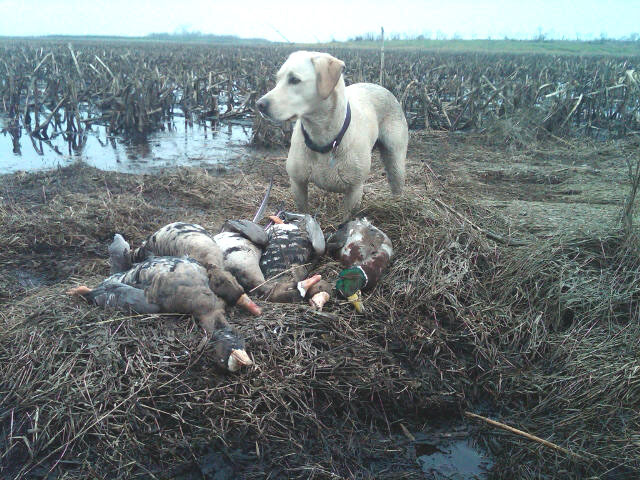 A good dog not only finds your birds, but gives you confidence to go after birds that dogless hunters would give up on. Swamp timothy will cover the pond bottom with a thick mass of grass and seed heads. Since others probably have this same question, I’m posting the response I sent her. 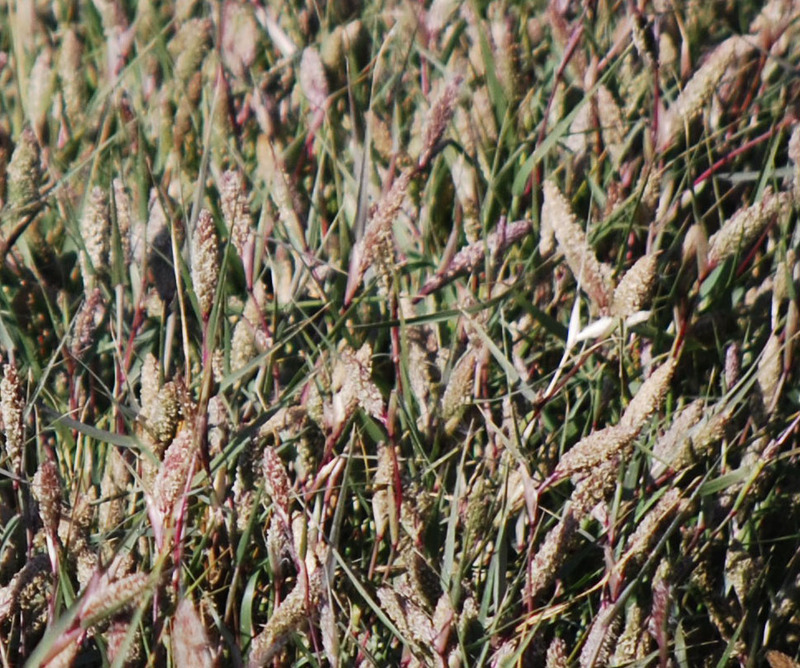 Lisa: When we first converted Mayberry from corn to wetland (25 years ago), we were in a rush to plant water grass, bull rush and swamp timothy so we purchased seed from a provider in Dos Palos – located between Los Banos and Mendota Wildlife Refuge. I don’t remember the name, but I do remember that the seeds were sorted from rice grain when the rice was harvested. Fortunately, if you flood up and ducks arrive they will bring swamp timothy with them as it clings to their bodies and feet. It is very tiny.Also, you probably have existing seed base if the property has ever been flooded previously. It is surprising to see what sprouts without importing seed. If you can find seed, purchase some. But don’t worry, after managing your property by flooding draining and irrigating, there will be a natural progression to seasonal marsh, even if you don’t import seeds.